Chocolate improves blood circulation, to this view came the representatives of the European Agency for Food Safety, в ходе изучения влияния шоколада на организм человека. Исследователи обнаружили, that chocolate resists damage blood vessels and improves blood circulation in the body. 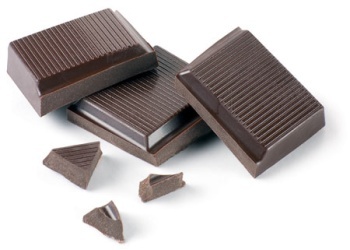 After analyzing the data set of experiments on the benefits of eating chocolate for health, experts concluded, that regular consumption of dark chocolate a third reduced risk of cardiovascular disease. Nutritionists, Despite such statements scientists, in turn warn, that excessive consumption of chocolate triggers obesity and diabetes. Recalling, that chocolate is only useful in moderation.